Outdoor heating in Sydney isn’t as limited as you’d think. Your mind has probably conjured up images of a campfire, or maybe some dancing around beach bonfire flames. You can bring some of that vigour and excitement to your yard, but with more style and less drama. Ordinarily, an outdoor fire needs to be sheltered from the wind, and there are different ways to do that. You could install a linear furnace with glass shields to protect the flames from the breeze. Or you could get a portable fireplace and position it next to a wall. Similarly, if your courtyard is on the smaller side, you could construct a brick nook and turn it into your outdoor hearth. For indoor-outdoor spaces, it could be enough to curve your chairs around a pre-selected spot and make it your designated fireplace. Concerning actual equipment, Hawkesbury Heating has an excellent selection in our showrooms. Some of our units have dual functions, such as our outdoor pizza ovens. Others are just for pretty heat. The best way to furnish limited space is to get items that double-up or triple-up in their functionality. Coffee-table fireplaces do this beautifully. You can eat on them, play board games, huddle over a drink, or toast marshmallows. And because it’s furniture, it doesn’t need extra floor space. You could put chairs around the table or carve stone benches for ambient seating. We stock three models of Regency Plateau Fire-tables. They’re about half a metre high for the coffee table version, while the cocktail fire-table stretches to a metre. These fire-tables have a flaming bed at the centre, filled with artificial volcanic rocks, ceramic logs, or faux driftwood logs. You can either buy a glass shield to stand around the flames or opt for an open burn. The fire is fueled by a propane bottle that sits inside the base of the fire-table. When you’re not using the table, you can seal it with a protective cover that comes with the fireplace. Table-top styling options include sunset bronze, glossy steel, or tiled porcelain. Just be sure your seats are rated for outdoor use, and that you remove the glass before you use your fire-table for shish-kebabs and s’mores. Size matters, but style does too. To embrace vintage style and stoke nostalgia, the Masport Pittsburg Potbelly Stove works well. It has a matte black body, crackling 15kW flames, and plump body. It also has its own cooktop and chimney. It does have one modern touch – an ash pan that can easily be slid out and emptied for quick clean-up. The cast-iron body converts your yard into a rustic country scene. 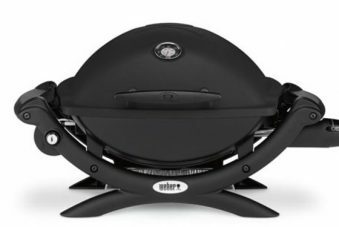 But if you’re into gadgets and new-fangled devices, you might want your outdoor BBQ to look contemporary. Try Morso Forno ovens. 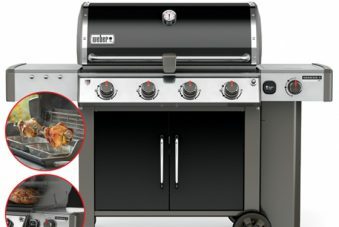 We have ovens with solid spherical pedestals or BBQs with wooden, steel-tipped tripod legs. Both models are cocoon-shaped, with Tuscan grills and removable doors of stainless steel. The doors facilitate slow-cooking, baking, and general heat control. Morso cooking chambers are made of cast iron with space-age styling. 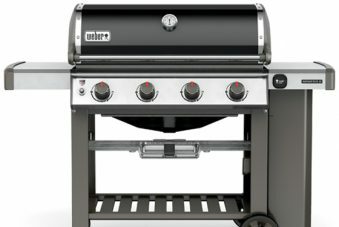 To find the right (small) BBQ model for your yard, call Hawkesbury Heating today on (02) 4571 2295.